Great Condition! This condo offers an open floor plan with cathedral ceiling & hardwood floors in the living room. Kitchen has cherry cabinets, granite countertops & ceramic tile flooring. All kitchen appliances & stacked washer/dryer set are included. Master Suite offers a walk-in closet & full bathroom with step-in shower. Heated & Cooled 15'x12' sunroom that walks out to a patio space. Behind this condo is open views of the field behind. HOA fees include: Mowing, Landscaping, Snow Removal & Exterior Maintenance. 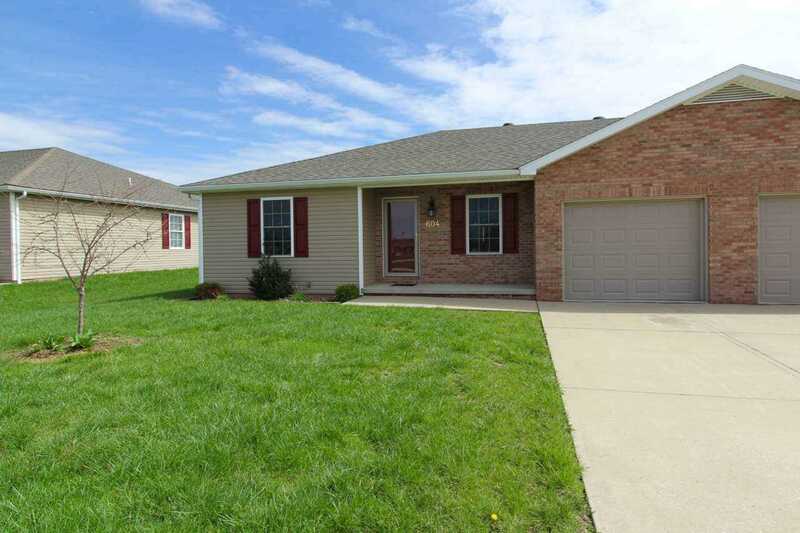 Located in a great neighborhood convenient to the grocery, hardware store & local banks. Directions:From Hwy 41, West on Hwy 68 into Haubstadt, North on Seventh, East on E. Willow, South on Ninth Ave.
SchoolsClick map icons below to view information for schools near 604 S Ninth Avenue Haubstadt, IN 47639.